When you plan to relocate from one location to another, there are many things you have to take care of. You have to look for reliable moving services in Dubai. The moving service you choose should not only have moving facility but should also provide you with manpower as it may become difficult for you to move belongings by yourself. 1. Whenever you pack objects like show pieces, clocks, glass articles they should be wrapped with paper. If they are directly wrapped with plastic sheet, there would be mark on the object. When you move a glass table or heavy glass object put sheet of cloth on the glass. 2. Once wrapped with paper or covered with the cloth sheet, wrap them with a bubble wrap sheet. Bubbles of the bubble wrap sheet act as cushion for the objects which protects the object from cracking during moving process. 3. After covering the object with bubble wrap, apply tape to the object. Using tape guns for bigger objects would be anytime comfortable. 4. Last but most important choose proper boxes to fit your belongings. Boxes of large, medium and small sizes are available in the market. 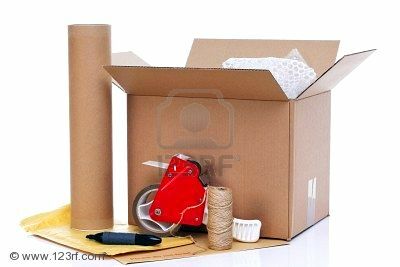 The Box is a Dubai storage company who will provide you with the best quality material for packaging of your goods.